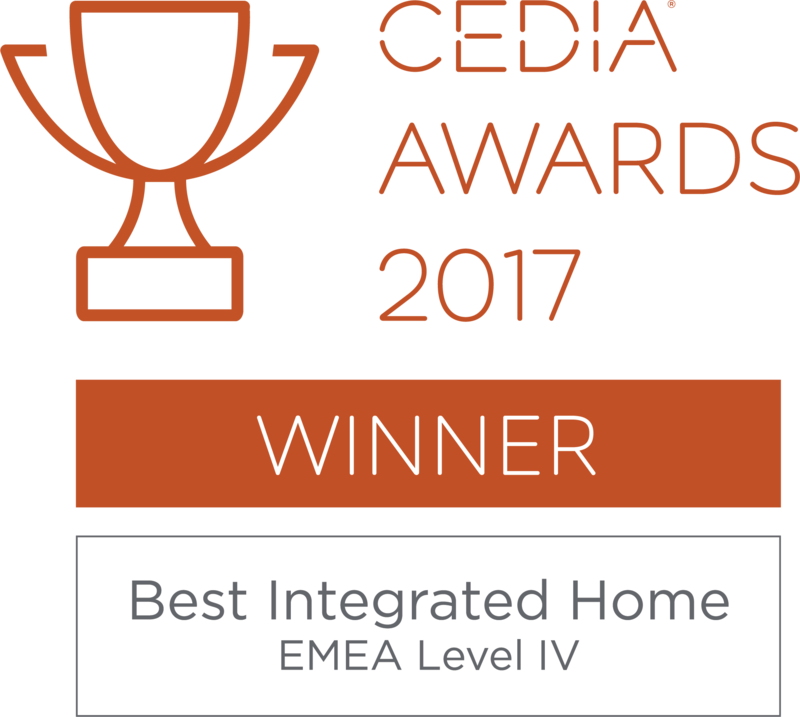 UPDATE 02/10/2017 - Congratulations to NV Integration for winning the "Best Integrated Home over £360,000" for the Siam Smart House at this years CEDIA awards! Five years in the making, the stunning 'Siam Smart House' in Thailand is the jewel in the crown of NV Integration's already shining portfolio and the inclusion of a number of Future Automation Moving Panel Mechanisms has really helped this project shine. Being their third project with NV Integration, the client already had knowledge and experience of what a modern smart home should offer and they were keen to utilise as much 'hidden technology' as possible to keep the interior design style of the Thailand property as clean as possible. To keep things totally hidden, NV Integration opted to use a number of Future Automation 'Moving Panel' and 'Sliding Panel' mechanisms in the main living areas and main dining room. Starting in the main living room, the client's specification called for a large format screen to be incorporated into bespoke hardwood joinery but hidden when not in use to enable the joinery to fit cleanly within the room. NV Integration chose to specify the Future Automation 'MDM-SPLIT' Split Motorised Moving Door Mechanism, due to the screen size, the size and weight of the panels being used to conceal it and the need for a totally concealed mechanism to match the superb joinery quality. They also chose to use the 'MDM-SPLIT' Split Motorised Moving Panel Mechanism in the master bedroom to achieve the same clean finish on a matching bespoke joinery unit. Both units also allow them to conceal multi channel audio and sub woofers along with the screens to help reduce the amount of technology on view even further. 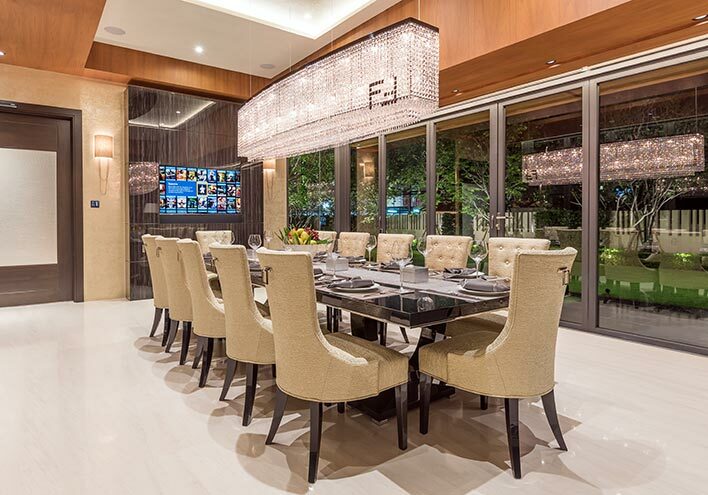 The same precision and attention to detail was applied to the joinery work in the main dining room of the Siam Smart House, but the use of a smaller screen and speaker combination allowed for the installation of a Future Automation 'SPS-1200' Sliding Panel System. Using the SPS1200 with a 65" screen and a width matched Leon Speakers 'TC-FIT' SONOS Tonecase Cover (available through Future Automation in the UK), the customer is able to fully hide the screen and speaker with a flush fitting joinery panel that matched the surrounding woodwork when not in use. When use of the screen is required the panel drops back into the wall cavity and raises up to reveal the screen and speaker combination before they are push forward to fully fill the opening. The accuracy of the SPS Sliding Panel Systems allow for shadow gaps of as little as 5mm (0.2") around the moving panel and screen, resulting in a stunning looking solution when open or closed. NV Integration are an approved Future Automation dealer based in London. They design and install bespoke home automation and cinema systems for the luxury residential market. NV Integration can be contacted via www.NVintegration.co.uk or 0207 205 2325.